Casa del Gelato s.r.l., is continuously focusing on expansion towards foreign markets. This strive, begun in the year 2000, has lead the company today to be the supplier of the major retail chains and Ho.Re.Ca. 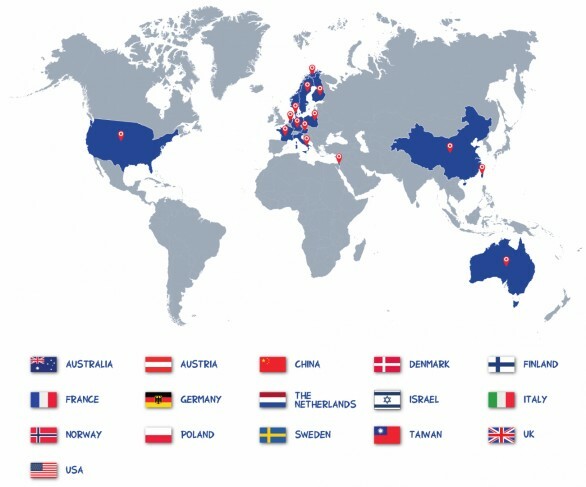 importers and distributors in more than 15 different countries around 4 continents. The export activity restlessly continues by searching for new foreign market shares or by strenghtening our presence in te existing ones thanks to the intense activity of Product Research and Development and te ever growing participation to specifi Food Trade Show both at the national and international level.